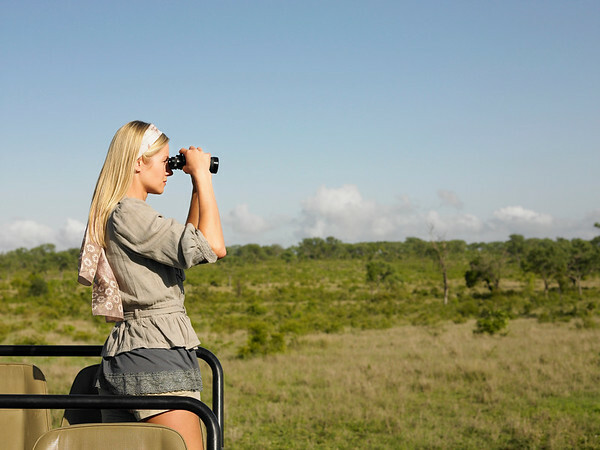 Below is my practical guide to finding the best compact binoculars for travel or fo safari. I never travel without them, but they can get heavy and bulky. So I have done a complete analysis of the different options for Travel Binoculars to select the most powerful and lightweight. I hope this will help you save time in your search! I have organized them into 3 categories: the versatile lightweight binoculars, the best compact pocket binoculars for hiking and travel in general and the best safari binoculars (full-size). This article contains affiliate Links. If you purchase through them, I get a commission at no extra cost to you. I am frustrated with my current binoculars which I bought 5 years ago at the airport at the last minute before my trip to Namibia. They were really great, but I am now annoyed by them because of their weight. They are quite heavy to travel with. This is why I have decided to do a deep dive into understanding how binoculars are made and work. And I did a big comparison chart with all the elements to help me decide which one I could purchase next. And rather than keep that all to myself, I have gathered all the info here for you. So below are the summary table of my best-of for Compact Travel binoculars, mid-size versatile binoculars and full-size safari binoculars for those who don't want to read the whole article. But for the others, after these summary tables, you can learn more about the criteria to choose the right binoculars for you and my detailed review analysis of the best options I have found. Binoculars are identified by 2 numbers e.g. "10*42" or "7*35". The first number is the magnification power. Generally speaking, a magnification power at 10 means that an object will appear 10 times closer than it would if you just look. Another way to look at it, is that the object will appear 10 times bigger. 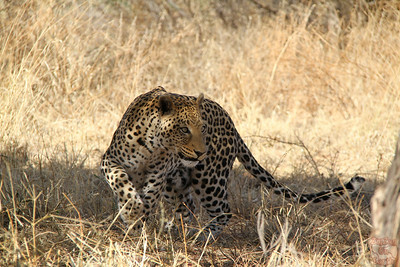 So if you see a leopard that is 500 meters away, in the binocular it will look like it is only 50 meters away (500/10). It sounds great now? However It also means that it amplifies the movement of your hands by 10 times. This is why you use binoculars in a stationary position. And Binoculars with a magnification above 12 should not be handheld. ==> IDEAL - a Power of magnification at 8 or 10 are really ideal for all travel situations. In the identification we saw above "10x42" or "7x35", the second number is the lens diameter. It is a value in millimetres. This number determines how much light enters your binoculars. More light means brighter and crisper view, which is particularly good in low-light conditions (at dawn or dusk). Note that the quality of the glasses are also essential for brightness and crispiness. This is why the Zeiss and Leica are at a higher price point. The eye relief is a number in mm provided in the specification. It is the distance from each eyepiece where you can see all in focus. Most of the time you have eyecups on the eyepieces to place your eyes at the proper distance. If you wear glasses you should roll them. ==> IDEAL - if you wear glasses, like I do, you should make sure that the eye relief is at least 11mm - However the higher the eye relief, the lower the field of view in general. The field of view is the actual distance across your viewing field (left to right), your scope of view. It is expressed either in ft at 1000 yards or in an angle. You can convert from one to the other by dividing the feet by 52.5 to get the angle. ==> IDEAL - A typical field of view is 340ft at 1000 yards a.k.a. 6.5° - For fast moving wildlife, a higher field of view is better to keep aim on the subject. Above 390ft or 7,4° is considered wide field. You know how annoying it is when your glasses somehow get covered in fog and you can't see anything anymore? Well, you can have the same problem with binoculars. But then it is way more difficult to remove it. Some manufacturers have developed system to avoid the formation of fog. I won't go into the technical details. ==> IDEAL - If you have the budget, fogproof binoculars are a definitive advantage. Lens coating is an good element to differentiate cheap binoculars from high quality ones. Coating layers make them more durable, and they will produce higher quality images for a longer period of time.Plus coatings reduce reflection and ensure sharper images. ==> IDEAL - Fully multicoated lenses reduce most reflections and increase light. Other elements can be taken into account such as prisms (Porro vs Roof) and glass and other technical options, but because of our other criteria for travel they will be implied, so no need to get too technical. Of course the main criteria for your travel is size. When you already have to fill in your backpack with your camera, your lenses, water, the suncream, a raincoat, a jumper, and many other items, adding binoculars can be a difficult decision. So you have to choose the best size for your travel conditions and your expectations. Compact Binoculars - those are light and small so they fit well in your backpack. They work well in many conditions but would be limited in terms of far away wildlife and low light conditions. Plus they are often less comfortable if used for extended periods. We always want the best of all worlds but you do have to make a choice between criteria. But if you want compact and powerful, you will have to pay more for the technics. But there is a limit to their power anyway. If you want to travel with powerful binoculars, you will have to accept to carry a bigger pair. Weight is of course largely related to size. The compact binoculars will be the lightest. Mid-size ones will be a bit more heavy. Of course when traveling, you never know what conditions you will encounter. I strongly recommend to choose binoculars that are waterproof. Next are the reviews for my choices of best Travel Binoculars. It is possible to write full pages with technical description of materials, technical approach and test under every situation. But considering we are mainly looking for binoculars that will be great in many different travel conditions, I have kept my reviews to the essentials elements to help you choose. Let's start with my selection of Mid-size binoculars. When to choose a Mid-size? This is a great compromise of power and weight. They manage to built a pair at 10x32 under 500g at a reasonable price. A really great combination. The Eye relief is sufficient for people wearing glasses with eyecups adaptable to your situation. Strong quality product. The little brother of a pair than won a best binoculars for money award. A bit less magnification but more light than the Trailseeker. So smaller but sharper images. The Field angle is interesting offering a wider views. But they are a little big more heavy getting closer to the weight of the full-size binoculars. 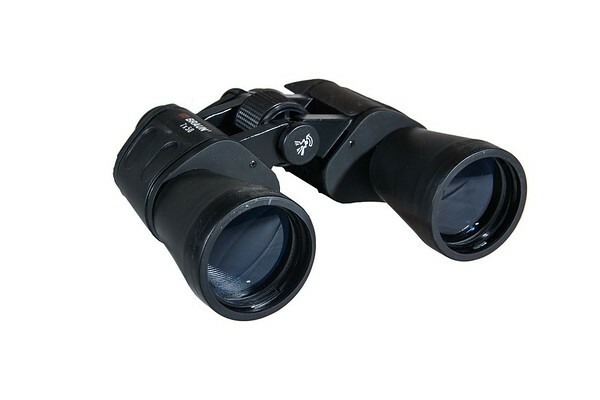 Lightweight pair of binoculars with great eye relief and a tendency towards a compact design. A well rounded pair of binoculars for traveling or hiking if you are ready for something but a bit heaver than the pocket one in order to have better performances. For hiking and general travel, sometimes you need something very small and light that you can carry everywhere or keep around your neck as you are hiking. Because even if a little less powerful, it is better to have a pair than to have none. And some are doing a really fantastic job. So here is my selection of 3 minibinoculars, my choice for the best small binoculars. As you can see with 2 of those pairs, to achieve such a small size and great quality, you need quite the technics, so prices are steeper. High performing optics for only 230g and a reasonable price!!! A great option for those you want binoculars that fit in their pocket. Can feel too small for those with large hands. Very easy to manipulate, this is a very small pair with very high performances in terms of light and sharpness. It is the German quality of a Leica. The sports car of Binoculars. Can also feel too small for those with large hands. Not for birdwatching or animals going fast. Very ergonomic design for comfortable handling with high performance despite a small and light design. 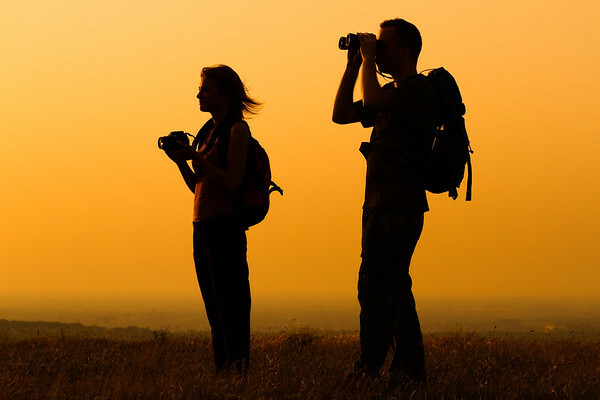 If you are ready to carry binoculars that are a little bigger and heavier, then go for a full-size pair. They will offer the best images and conditions for many activities including birdwatching and wildlife moving fast. And they normally are a bit more comfortable to use for extended period of time. Appreciated for the sharpness of the images, it is very versatile including wildlife and birdwatching. Small Eye relief can make it slightly less comfortable than the other proposed binoculars. Accessories such as the stripe, do not seem to reach the quality level of the binoculars. Good quality with great eye relief allowing for a more comfortable viewing. Only a magnification at 8 but I know many people enjoy the Brand Nikon and feel more comfortable with a well-kown brand. In that's your case this is a good option. A firm grip and design with good quality optics and a good field of view. Razor sharp quality of images from the Zeiss binoculars and their quality coating. A sharp price but you know the quality behind. Zeiss, like Leica are the high-end brands of binoculars. They are a little heavier than the other safari binoculars in this category. Don't forget the rest of the family on your travel. 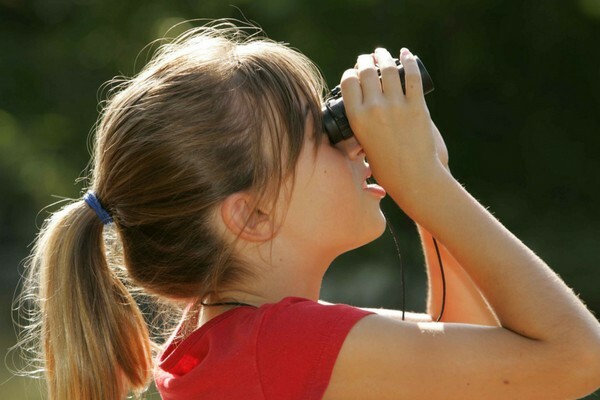 Kids Binoculars are fantastic tools that open them to new worlds of discoveries. Cheap option for younger quality with proper quality of images and magnification. Quite light for all younger kids to play with them. Those are great for teenagers. They are a little bit heavier and provide good images at a reasonable price. Ready to see the world up-close?